Lower back pain absorbs your life. When a person has lower back pain, and especially if it is accompanied by sciatica, every single movement they make hurts. Waking up in the morning is agonizing. Sitting down at work is a trial. Playing with grandchildren, going for a walk, or just relaxing in a movie theater goes from being something that’s enjoyable to something that you dread. One of the worst things about lower back pain and sciatica is that it makes you afraid of your own body. You are actually afraid to move because you do not know what movement is going to send spasms and pain down your body.Lower back pain and sciatica has been linked to cases of severe depression and isolation in many people. If you are currently dealing with lower back pain, we want you to know that we empathize with you. Our goal is to work with you to create a pain management treatment that will effectively minimize if not completely remove your pain. Since the factors that lead to lower back pain are complicated, there are a variety of treatments that are available. One that has been effective for many is a lumbar epidural steroid injection. What Do Lumbar Epidural Steroid Injections Do? Epidural steroid injections have been used to treat back pain since the early 1950’s. They are still an important part of nonsurgical pain management in lower back pain. The injections can be used to relieve pain, and often times the injection is the only thing that is needed. However, in most cases epidural steroid injections are used in connection with comprehensive rehab therapy with the goal of providing maximum long-term benefits. In the vast majority of cases, the side effects of injection therapy are temporary. They can provide pain relief from anywhere between one week and one year. However, for many sufferers this temporary period of pain relief is enough to allow them to continue with rehabilitative stretching or an exercise program that can set them up for lifelong pain relief. 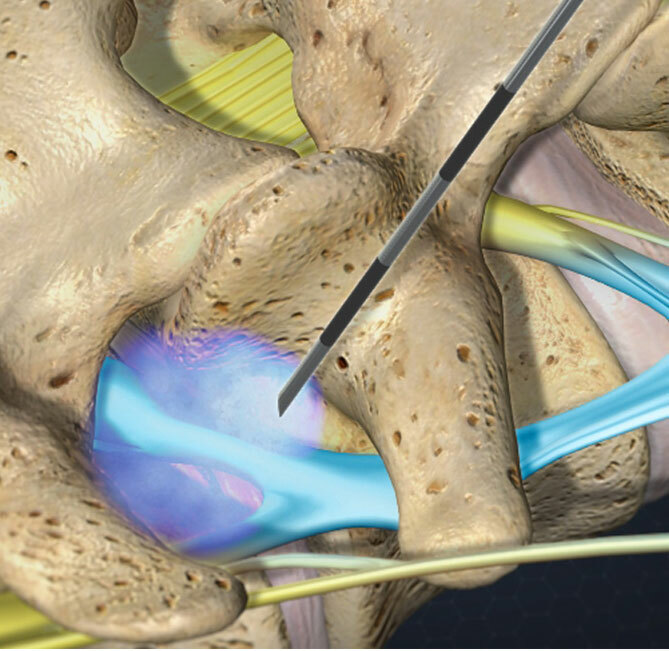 Epidural injections can be used to provide relief for neck pain as well as pain in the thoracic region. Epidural steroid injections deliver medication or steroids right to the epidural space in your spine. The injection may include a local anesthetic or a saline solution designed to help flush out the proteins that are causing inflammation around the source of the pain. Steroids or Cortisone. Steroids or cortisone are anti-inflammatory agents. Inflammation is a primary contributor to lower back conditions, so reducing inflammation minimizes the pain. Lidocaine. Lidocaine is a local anesthetic that is quick acting. It provides temporary pain relief. It can also serve as a diluting agent or a flushing agent to get rid of some of the chemical agents in the epidural space that may be contributing to inflammation. Saline. Saline can dilute the local anesthetic and also serves as a flushing agent to minimize inflammation. Epidural steroid injections deliver medication directly to or in the general vicinity of the source of the pain. Oral steroids and painkillers have a less focused impact. They are unpredictable and have unwanted side effects. The majority of lower back and sciatica pain is the result of inflammation. An epidural steroid injection not only controls the local inflammation, but it also helps the body to flush out inflammatory proteins that may exacerbate the pain. Who Are Not Candidates for Epidural Steroid Injections? If it is thought that your lower back pain is caused by a spinal tumor, then an epidural steroid injection should not be performed. The doctor would first perform an MRI to eliminate a tumor as the possible cause of your pain and then perform the procedure. During the procedure, the patient will lay down flat on a table. A pillow is placed under the stomach to give their back a slighter curve. A local anesthetic is used to numb the injection area. Live x-ray technology is used to guide the needle as it is inserted in the skin. Once the needle reaches the epidural space, the epidural steroid is slowly injected. It is likely that you’re going to feel some pressure as the solution is injected into your lumbar area. For the next 15 to 20 minutes, you will be monitored by a physician, and then you will be sent home. You have some slight tenderness in the injection site for a few hours after the procedure. It is not uncommon for people to experience a temporary increase in their pain in the days following the epidural steroid injection. There is no definitive answer about the number of epidural steroid injections that are needed or how frequently they should be administered. Typically, injections are given up to three times a year. Some doctors will space the injections out evenly over the space of a year. Some will administer injections at two to four week intervals. We understand how challenging it can be for you to live every single day with lower back and sciatica pain. It interferes with your life, and it robs you of your joy. Our goal is to work with you to help you learn to manage your pain, if not completely remove the pain you are experiencing. To that end, the first step in our treatment program is listening to you. We need to hear about your pain and the unique experiences you have had. Once we have this information we are able to tailor a personalized pain management treatment. We never insult our clients by presenting them with a one-size-fits-all treatment because no such thing exists. For pain management to be effective, it must be tailored to the individual. Our goal is to leave you with a short-term and long-term plan for pain management. In the short term, we simply want to get you up and moving again. In the long-term, we want to create a comprehensive treatment that will help you stay pain-free for years to come. We understand that pain management is a complicated and time-consuming process. While many of our patients are able to find pain relief, we understand that in some cases finding the right pain management treatments will take time. We never give up on our clients. We will not give up on you. Contact us today, and let us use our years of pain management experience to help you get back to living the pain-free life you deserve.